Forty sessions. Forty. You see, I'm one of those people who really try to get my money's worth out of a conference, and when it's somebody else's money (thanks, National Science Foundation!) I try even harder. My 10-day conference marathon started with a rough day of travel, but in the remaining nine days I went to just about everything I could. I just made the conference my one and only priority — I didn't go sighseeing on "company time," I ate only when necessary (I lost 7 pounds in 10 days, despite being in the lands of cheesesteaks and bignets), and I only skipped a few sessions to give myself time to prepare for my own presentations. I don't know if 40 sessions is some kind of record, but if it is I'm not sure I ever want to break it. 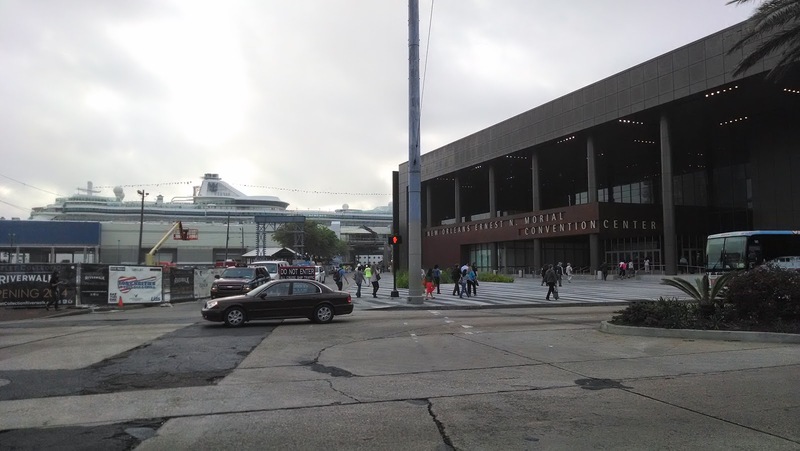 It was against all good advice to attend both AERA and NCTM in the first place. I set a precedent for myself last year when I recapped 21 sessions from the NCTM Research Presession and Annual Meeting in Denver. That effort took several days of binge-recapping, something I'd rather not do this year. I'm thinking about aiming for one recap per day; if that works out I could be done before June, but not by much. Before the recaps begin, however, I needed to put together an accurate accounting of the sessions I attended. Due to NCTM's overlapping sessions at the Annual Meeting, there are a few in this list that I did not see in their entirety. I can still recap what I can and make sure to point to whatever resources that might have been made available. If you see anything in the list below that you'd rather not wait to hear about, leave a comment or otherwise let me know and I'll try to get you information sooner rather than later. 24. How Should the Enacted Mathematics Curriculum Be Conceptualized and Studied? 26. Principles to Actions: What's Exciting about NCTM's New Blueprint? 27. Developing Leaders in Mathematics Education: What Does it Take? 32. Math Teachers and Social Media: Professional Collaboration or Support Group? 33. What Changes Should Be Made for the Next Edition of the CCSSM?